It is every parent’s goal to secure a good future for their kids. This is certainly the reason why as soon as we are able to, we set up the best saving accounts for kids. 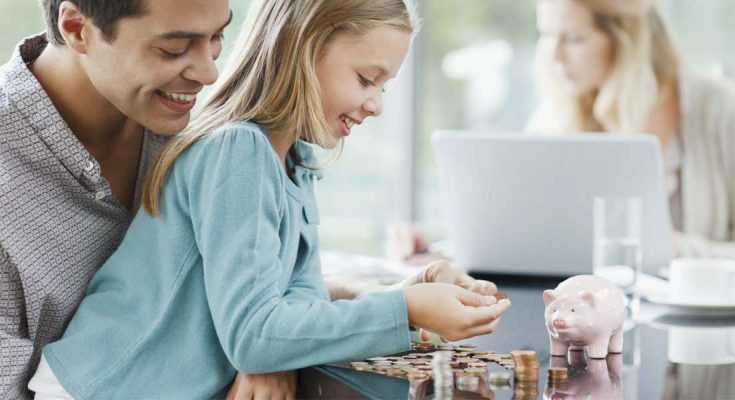 There is definitely nothing wrong with setting up your children’s financial future, but as a parent, we should also teach our kids how to save and handle their money well. Along the way, this is what will make them responsible in handling their finances. The lessons they learn about money growing up will be the lessons they carry along as they grow older. 1. Give them a fixed and reasonable allowance. Once you started giving your kids monetary allowance, make sure that you set it right and you stand by it. Setting a fixed allowance will help them become disciplined when it comes to spending. Just make sure that you don’t give in easily if they ask for more money for unnecessary spending. The more you show them that you have that conviction, the more they will take their spending seriously. 2. Put up a piggy bank. Putting up a piggy bank has proven to be an effective way of encouraging your kids to save by giving them an easy way to do it. Encourage them to fill it with coins or with dollars until they cannot put anything in there anymore. This way, you are demonstrating to them how to save money. The more money they put in the jar, the more savings they have. 3. Set up a bank account. When there is no more space left in the piggy bank, step out and open a bank account for your kids. Make sure however, that you tell them that this is the result of the good work they have done initially from filling up their piggy banks. Ask them to count the money they have saved so that they know how much they have. This can be a rewarding experience for them and might actually encourage them to save more. 4. Make a savings timeline. It is normal for kids to struggle about the concept of money. When it comes to saving, it is a good practice to create a timeline for them and explain to them how they would be able to save as much by following the guide you have created for them. What will be more helpful is if you create a set of timelines showing them how much they get for various amounts in various deadlines set. 5. Be a good example. You can lecture and lecture your kids about the importance of saving and the value of money but if you don’t practice what you preach, then your antics are pointless. Kids follow what they see so make sure that you set a good example. Want to teach them how to save? Show them you are saving. Want to teach them how to spend smart? Show them smart buying. In the end, it’s your example they will benchmark from, not your words.